The site of 611 West South. April 2018. A plan for townhomes at 611 West South, which has seemed to stall throughout 2017 has changed and now includes more units. 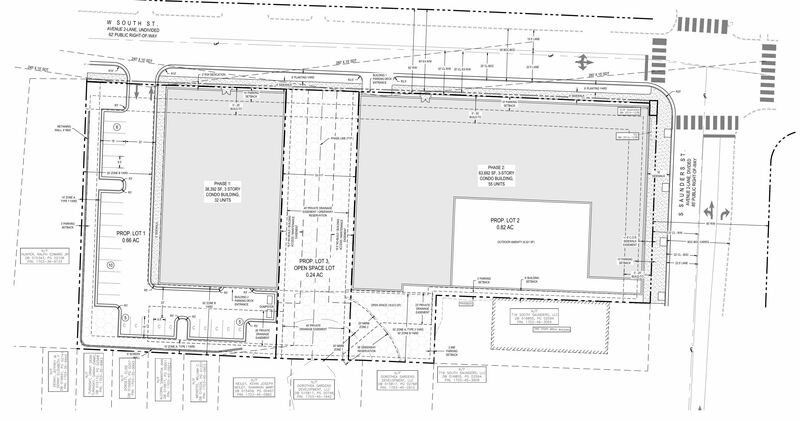 Site plans (SR-48-18) show 87 units across two, 3-story condo buildings. If you haven’t seen the site, there’s a very large culvert that runs straight down it. Similar to the original plans, it looks like the developer won’t even touch it and will leave it as open space. The plans mention a possible future greenway here as well. The plans show a parking deck entrance in both buildings as well as some surface parking along the western building. I want to guess that with it being only 3-stories tall, the bottom floor will mainly be for parking and ground-floor amenities. The very rough renderings included in the site plan, however, seem to show units on the ground-floor going all the way around so I’m guessing the renderings are more for massing then actual look and feel. Raleigh Architecture Company is leading the design on this project. It’s interesting to note that they only required 71 parking spaces but are providing 126. At the end of the day, I’m glad to see more units coming to the area. 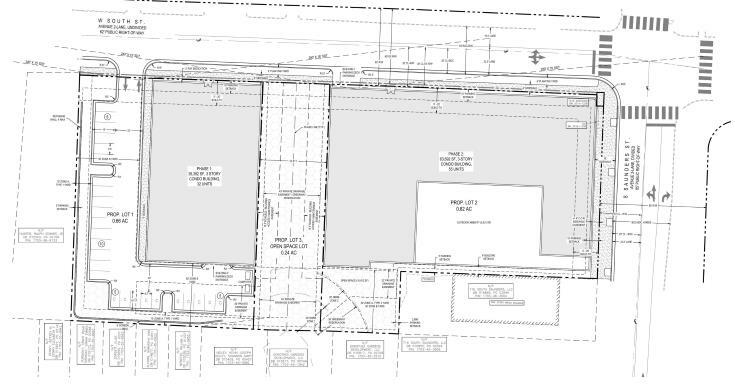 I’m crossing my fingers for one or two retail spaces but this site plan does not suggest that that is the case. Join the discussion about this project on the DTRaleigh Community.